Does it feel like teaching your kids is drudgery or monotonous? Or worse, does it feel like a fight any time you want to teach your kids anything? Maybe before you were a parent, you were looking forward to all the things you wanted to teach your kids, and now it just feels like pulling teeth to get them to participate and pay attention long enough to learn anything. You know how important early childhood education is, but you’re not sure how to pull it off. 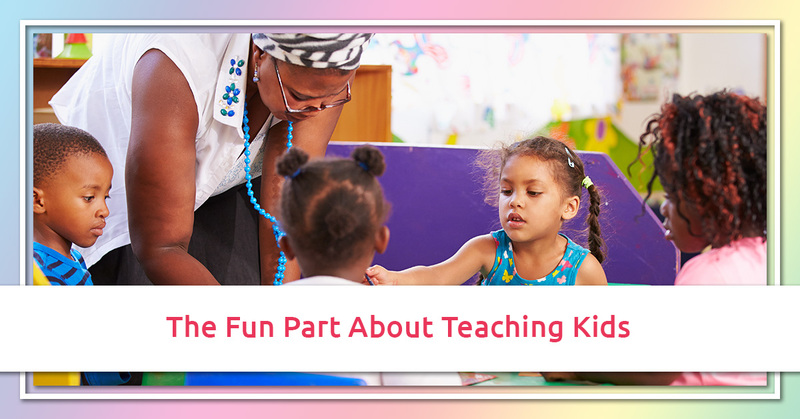 In this blog post from our day care in Huntington, we’d like to try to put some of the fun back into the teaching times that you have with your kids. Here are a few tips that we’ve found for how to do that. It’s no fun to try to teach your child if every time it leaves you frustrated and your child upset. If your teaching sessions always seem to end with the you and your child at loggerheads, try re-thinking your approach. Pretend you’re a fairy. How can you make this a magical time for your child? When you’ve done this a few times, you’ll get good at it and your child will discover that learning with you is fun! Have you been saying any of these things to yourself? “How can I get outside more?” etc. Here at Rainbow Chimes Daycare, we do everything in our power to make learning fun! Our daycare provides a safe, nurturing environment for children to learn. Start the enrollment process today, and watch your child grow and thrive under our care.